Ivanka Trump: My Father Isn't A Groper [VIDEO] - Joe.My.God. The New York Times’ front-page exposé of Donald Trump’s comments and alleged behavior toward women has brought new scrutiny in recent days, but one powerful woman is standing up for him. 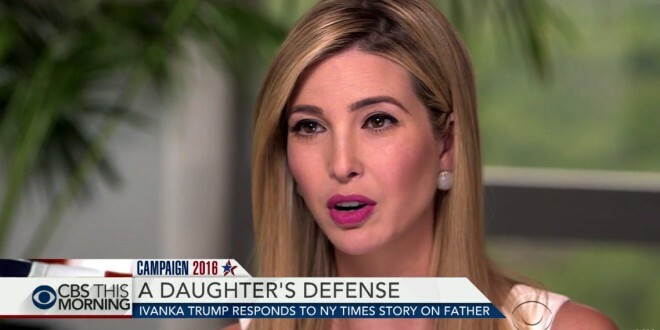 Speaking both “in the capacity as a daughter and… as an executive who’s worked alongside of him” for over a decade, Ivanka Trump defended her father, calling the latest accusations “disturbing,” reports “CBS This Morning” co-host Norah O’Donnell.